Hello out there! Aimee here with a sweet little spring project. 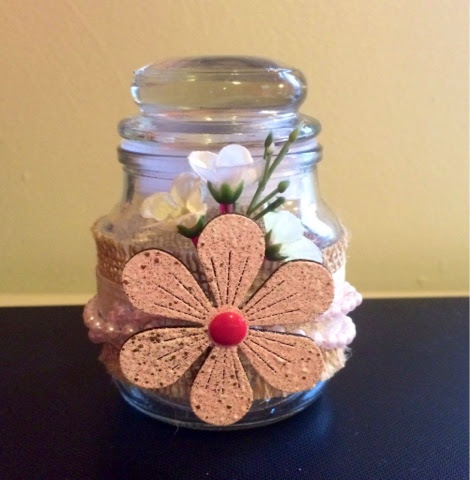 I like to keep and reuse cute jars in my crafty studio. The jar for this project was once a cheap scented candle. 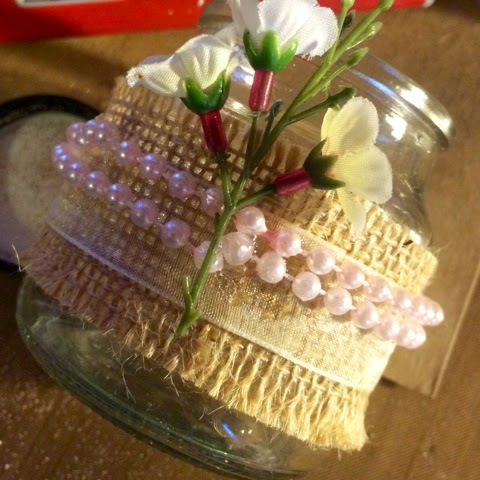 Jar, heat gun, burlap strip, pearl trim, ribbon, flowers, hot glue gun, bling for flower center. 1. Punch out a large flower. 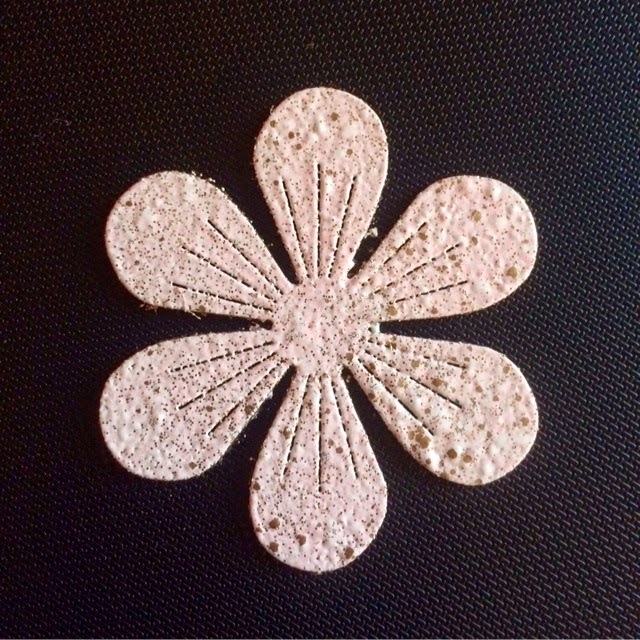 Coat with Adhesive Fluid and then with the powder. Heat that baby up to melt the powder and activate the adhesive. Repeat. 2. 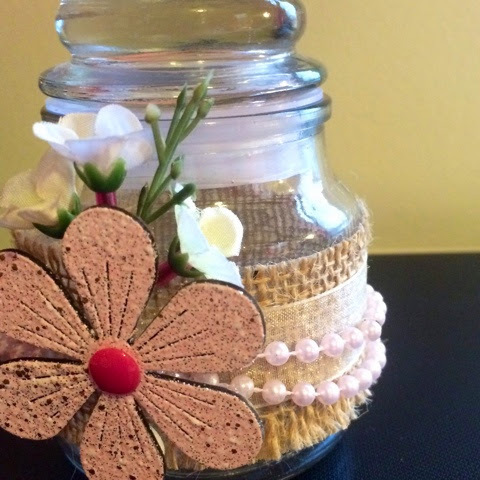 Wrap some burlap around the jar and secure ends with hot glue. Repeat with ribbon and pearls. 3. Add some pretty little flowers. 5. Now use that glue gun and add your pretty pink Piccolo flower. 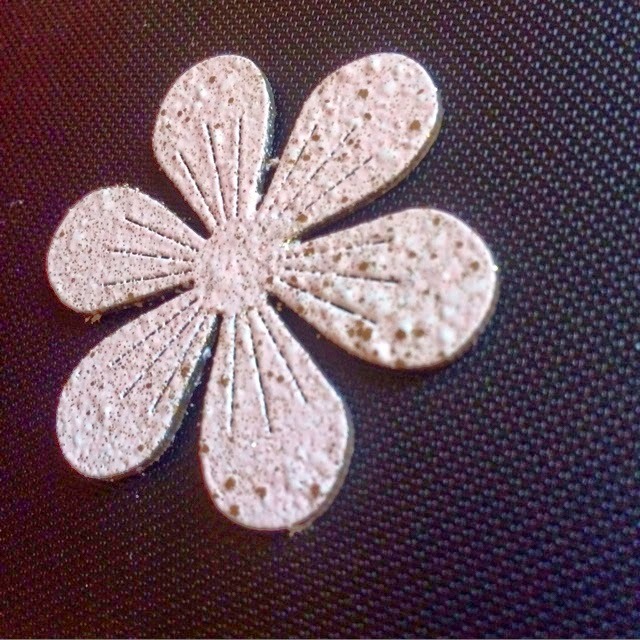 Add bling to the center. What a cute idea for decorating your reusable jars. 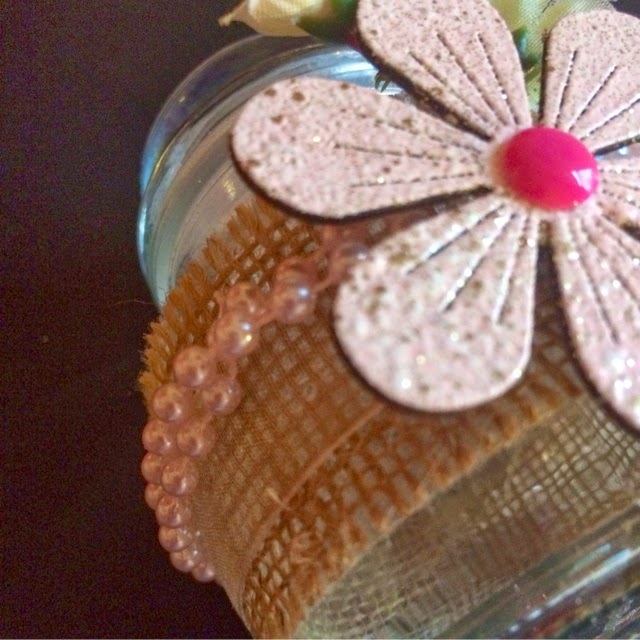 Love how the flower looks with the burlap and pearls.